I thought I'd share with you a few online purchases I have made recently. I will be anxiously awaiting the UPS man over the next week or so! our old worn ones in the master bath. on our living room couch, in this chocolate check. And I also ordered this wicker tree skirt. More than likely I will spray it a darker wood tone. Can't wait to use it next year! 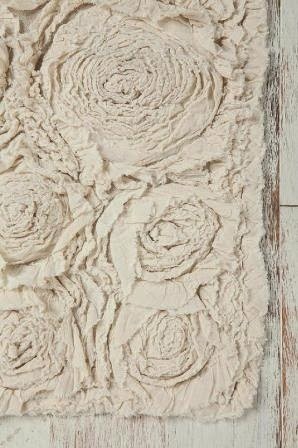 those rosy bath mats are awesome!! I am in LOVE with those bath mats!!! 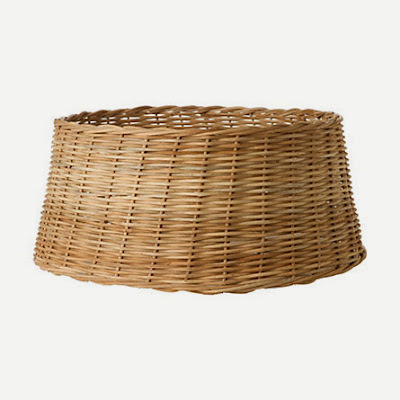 I bought the wicker tree skirt...absolutely wonderful... and on sale! Thank you, Melaine! Totally love that wicker tree skirt!!!!! I ADORE that tree skirt - undecided between that one and the bell shape, but I think I'll end up going with the one you got - I like that you can't see through it :) Thank you SO much for sharing or else I never would have found it! The bath mats are so cute!! I'll be checking out Urban Outfitters soon! Thanks! Oh what fun purchases ...I like them all. I've never seen a tree skirt like that one before. Looking forward to seeing it. I got the same buffalo check material from Ballards that I pulled out today to make pillows for my sofa. I love this huge check especially in the black and cream. Fun stuff! 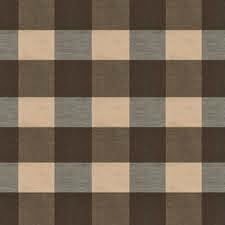 I love buffalo check. I just ordered some flannel sheets from LL Bean for my little boy. They were on sale! And I adore that tree skirt! I had pinned that image, but never knew that wicker skirt was for sale! Thanks so much! off to check out the rug! it's fabulous.